How I became CCNA certified. My IT career journey. Home » How I became CCNA certified. My IT career journey. Hello aspiring CCNA in the Philippines, I hope you find this simple blog useful especially if you are a beginner and aiming to be CCNA certified. I will continue sharing valuable tips and tutorials that I learned which can help you in your CCNA career journey. Please subscribe to my mailing list for more CCNA tips and tutorials and updates. On this short article, I will share my personal story how I became a CCNA certified. Here it goes. I got my first job on June 2008 after graduating in college. My first job was I.T Support in a small office in Makati. Being a fresh graduate, I immediately grab the opportunity. My responsibility was to support and maintain the computers and other devices in the office. I learned a lot on that job since I don’t have so much hands-on experience in computers back then. It was the best training ground for me because I gained more practical knowledge and hands on experience on that job. I resigned after 2 years of working as an I.T Support to find higher position and much higher salary. And I was hired as a Technical Support. 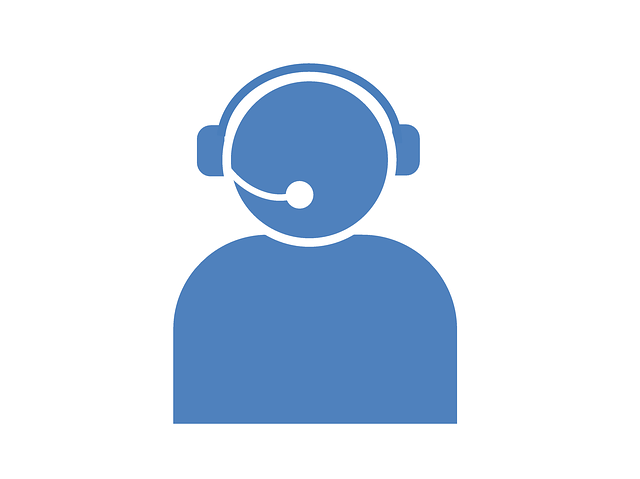 I was hired as a Technical Support in one of the largest foreign BPO operating here in the Philippines. It was another leap of faith in my career ‘coz that was my first call center experience. We’re still doing I.T support and troubleshooting of computers but different setup since it was through the phone with the customer (U.S and Canada) and remotely fixing issues. I am not a good English speaker that time (hey there’s an improvement now. Haha) and I am not aware of how a call center setup works. With all the faith in the world I overcome all the fear and challenges on my technical support career. In fact I was promoted as Level 2 and received several awards during those times. It really pays to step up and conquer your fear. During my technical support years, I was involved and became part of some training that made me aware of bigger I.T infrastructure. I realized that in large corporations and companies, it is not simple how computer and network work like in small ones. All access and all devices, including traffic and all data are being manage and monitored. And that’s where I heard and knew Cisco. Through some network trainings and tutorials I became aware of “high end” devices being use by large corporations and companies. PLUS, when I was promoted as L2, I became friends with other knowledgeable I.T individuals that were CCNA certified and know more I.T knowledge than me. That became my “AHA” moment and I told myself that I want to be CCNA certified too. Being noob I was, I digged the internet for all FREE CCNA and Cisco resources. I read blogs, articles and watch videos online to learn more. I starved for knowledge and became more hungrier to learn. 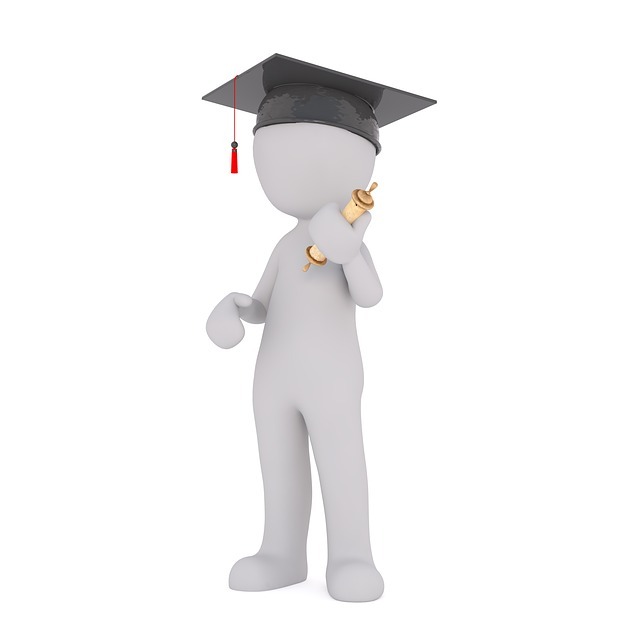 Being CCNA certified or other Cisco certifications came with many benefits. I set a goal to myself and promise to be CCNA certified. Upon realizing that I want to be a CCNA certified too, I work on my goals. So I made I plan how I can acquired a CCNA certification without spending too much money. Enrolling in bigger schools and private institution for full time course cost a lot. To make it short, here’s what I did. After 3 – 4 months of self study, I enrolled on CCNA bootcamp fast track training on October 2012. CCNA bootcamp is a fast track training tackling all CCNA topics in just a matter of week or 5 straight days. Sometimes classes are split over consecutive weekends. Although the price is low compared to full time courses, you’ll be bombarded with information and more likely be overwhelmed. I was. My mind almost blown given I am new to Cisco and CCNA career. My self-study was a great help as I heard and knew some basic information before. PLUS, the trainer was great. Ms. Len of MNET IT Training is one of the best I.T instructor I knew. She makes the learning fun and easy especially for beginners. Unfortunately, they are not operating for now, they are back, online na nga lang. You can check the list of CCNA training centers in the Philippines here. So I finished the 5 days straight of CCNA bootcamp overwhelmed. Although I learned a lot, I still forgot other important topics. I am not ready to take the exam yet. I continue my self-study for another 2 months. Reviewing all the information and topic from the resources I have. I scheduled my exam last January 16, 2013. One week before taking the exam, I joined a FREE sit in class in MNET. That’s one of the privilege when you enrolled to MNET. And that really helped refreshing the knowledge. So I took the exam on January 16. I took the CCNA composite exam. And luckily I passed. That day, I became CCNA certified. I am CCNA certified, now what? As I planned way before, after passing the CCNA certification exam, I updated my resume and applied to almost all CCNA related jobs available online. Asking several friends and contacts to refer me to a new related career. After several interviews at several companies, I got hired as a NOC or service desk in my present company right now. It’s really an advantage if you got certification like CCNA. As a NOC, I became more aware of how bigger network and I.T infrastructure works. I came across to high-end technologies and devices which I never heard before. My CCNA knowledge helped a lot in understanding those technologies. Although not applying the knowledge hands on, I can understand how the concept works. After a year (2014) of working as a NOC, it came as a blessing that one of the Network Administrator position opened in the same company I am working. And by the support and advise of my family, girlfriend (now my wife) and some office friends, I applied on the position. And boy, I was hired. I became a full network administrator since then. Right now, I’m still working as a network administrator and applying all the CCNA lessons I learned along the way. I learned so much today (I mean so muuch!) than what I knew before and I’m continue learning more. I work 4 days a week with the privilege of working from home. Yay! How good is that? I’m with a great and awesome team in a good company and I’m enjoying what I am and where I am right now. Thanks to God for all these blessings. That’s it. If you read this far (thank you!). My apology for sharing my story too long but that’s how I travelled my I.T career journey so far and how I became CCNA certified. I hope you find my story inspiring. And I hope you got valuable tips and knowledge on my personal journey. If you’re a beginner or just starting out in your CCNA career, I wish you luck and good vibes. Just continue and remain focused on your goal. As I started with very little knowledge, I know you can do it too. Invest in yourself and in knowledge. That may requires time, money and effort upfront but the rewards are awesome and over-flowing. P.S. My journey continue and I passed the CCNP Switch exam too. Read the start of my CCNP journey here. Thank you! unang una po wala po talaga ako knowledge about cisco or networking. Pero ngaun po naka Enrolled ako sa tesda NC2 (Computer Systems Servicing) ang balak ko po is after ko dito is mag Aral ako ng CCNA 4 modules. Then after po saka ako mag bootcamp 🙂 My rerecommend po ba kayo na school ? I am really inspired, I have studied for ccna exam and certified last 2 months but I don’t have hands on experience. I really want to go with networking career so what is next step to develop my knowledge and find good job (networking engineer)? Just try and try applying ccna related jobs idol. Time will come makakahanap ka rin. You can follow this article. Thanks! Ano po yung mga rrquirements para makasali dyan sa school nyo? Very inspiring story. I hope i will become network admin someday. I’m a fresh graduate of IT and I’ve just passed the CCNA exam yesterday. sir, what can you say naman for those who wants to change or career shifter gusto mag-take and maging CCNA certified? Kung magiging CCNA certified, but yung past job experience is totally not related to IT you think madaling maha-hire pa rin sa work and mag-build ng new career? It may time and effort sir Victor pero hindi naman po imposible. One of our network engr. is not a computer course graduate(business something ang course nya) but he managed to achieve skills and success in computer networking. Aral at sipag po talaga puhunan. Goodluck to us! Once we have opening, I’ll post it here and on the FB page of this blog. Thanks again! Although ang haba ng blog u how u got the CCNA Certification nakakainspire sya basahin…Para na mga tinatamad mag aral u blogs help a lot…Nagtraining din aq year 2014 sa MNET kami yung Last batch I choose MNET dahil sa mga review na nabasa ko then yung friend ko dun din sya ngtraining.. maganda nga daw sya then have free sit in for one year unfortunately yun nga temporarily ngsara muna cla..Kea di na ko nkapagsit in then after Training self study me ng two months gang di ko na napagpatuloy study..Then last month I start to read some of the reviewers that MNET supplied to us, parang back to zero na namn tuloy ako kc tagal ko nastop sa self study di ko na halos tanda mga inaral ko sa training. Thank you sir! Sipag at tyaga lang. It’s never too late. Think positive lage. Goodluck! Hi Ronald, it depends on the company, experience and skills. On general, you may check this article. CCNA salary in the Philippines. That was really something Sir Billy. Aside from that I admire you for being humble (after your tutorial your always include this in your closure. Ok ba mga idol ishare din natin sa iba para matulungan din natin sila na mga aspiring na CCNAers. Cheers for our success ). Yung willing ka tumulong sa iba and ishare ang knowledge mo for free. Sige kita kits next issue. Maraming salamat din idol Ian. I’m glad nakakatulong ang blog na ito sa mga aspiring CCNA kahit papano. Sipag at tiyaga lang, makakamit din natin ang tagumpay. Cheers! very informative sir, actually po ngayo lang ako nag ka interes sa ccna, it grad ako 2003 but ive been out of the industry since then, and in demand pala ccna sa sg which my wife is working. pls tell me more about it. Hi Cliff, thanks for visiting the blog. You have all the basic and foundation knowledge here. Browse browse lang idol. Salamat! Sir Billy, I am a CCNA passer po. Right now madami na po napagsubmitan ng resume, kaso po wala po tumatawag sakin for an interview. May I ask for an advice sir? Hi Paul, thanks for visiting the blog. You mean submit online? Try to create profile in Linkedin, tapos add mo yung mga nasa same industry then try mo din mag-add ng mga HR or talent acquisition person. Ganun din sa ibang job sites. As in wala ba tumatawag? Or interview? Try mo din baguhin resume mo, dapat customize base sa aapplayan mo para swak na swak. Tiyaga lang idol, makakahanap ka rin! Godbless! Thanks Michael. Sipag at tiyaga lang, in time makakamit mo rin ang pangarap m. 🙂 Email or comment lang kung may tanong. Godbless! How can I help AMA? If you’re not happy where you are maybe you need to change something. If you cannot change that, maybe you need to change your perception or how you look onto those things. Kelangan mo alamin kung ano ba talaga gusto mo idol. Pano mo nakikita ang sarili mo 5, 10 or 20 years from now? Kung medyo malayo sa CCNA or sa pagiging IT lalong lalo na kung hindi ka masaya, baka iba ang linya mo idol. Kelangan mo din kasi ng passion to make things work. Alamin mo ang forte mo idol, kung san ka masaya, kung san ka magaling at nag-eenjoy. Then start from there. Ikaw at tanging ikaw lang ang makaka-sagot niyan. Samahan mo ng dasal at sipag at tiyaga para sureball. Godbless! salamat sa story nyo sir nkakainspired.. i passed CCNA on my birthday ? last month.. actually nagwork ako dto sa dubai medyo ok nman sahod ko 40k sa peso pero ang trip ko kc tlga is related sa IT kaya nag aral ako at nagtake ng exam dto although under grad ako sa course na di related sa IT at walang IT experience gusto ko pa rin sana makashift ng career kaya pinipilit makakuha ng certifications like netong CCNA actually next month nman is nakaschedule ako mag take ng CompTIA A+ para mas makadagdag nga dahil wla akong background experience or diploma for IT related 32yrs old na rin ako but im still hoping na makashift pko ng career dto not just for the salary kundi dahil un ang passion ko tlga anything related sa IT computer or internet.. isa lng tanong ko gano nyo katagal before nareceive un certficate? or pdf nlng un pinili nyo? thanks ? Hats off to you eXm! It’s never too late to follow your passion. Mas nakaka-inspire ang mga kagaya mong positive na tao. Hopefully ganyan din ang thinking nung ibang gustong maging CCNA. Again, congrats and good luck sir! Balitaan mo kami kapag nasa networking field ka na. Cheers! In regards to your questions, I can’t remember if it’s 4 or 6 months bago ko natanggap ko yung hardcopy. Meron ako ng PDF and hard copy. Yung hardcopy meron din kasama CCNA ID yun tapos ung certificate mismo. Hope it helps. God bless! I already replied on your email. Thanks! hi sir idol!!! salamat sa review/blog/ideas na ganito at super naexcite po ako at na-inspire ng sobra. planning nako mag ipon. pwede makahinge ng review materials? kung saan talaga mag po-focus? im a fresh grad of ECE although hirap makahanap ng work, gusto kong maexpose sa industry na ganto. May acc po ako sa netacad.com pero close napo kasi ung mga exams. makakatulong po ba ung modules doon? saan po ako pwedeng magsimula? at when will i know if im ready to take bootcamp? second; diretchong enroll napo ba ako ng ccna after self review? i heard may ccnet pa? whats the difference? third; may nabagsak po ba sa bootcamp exam? pwede po bang itake ulit un kasama sa bayad? fourth; maganda ba sa rivan? zero knowledge daw dun hehe. any tips/suggestions? salamat sir. sana mapansin mo ako. Hi Garie thanks for visiting the blog. 1. Sorry wala akong review materials, yung mga resources ko is outdated na kasi naka-ilang update na si Cisco ng CCNA exam. Kung beginner, focus on the basic at fundamentals which can be found on this blog. Yun muna para magkaroon ng foundation. Not sure about netacad modules, wala ako account doon eh. You can take the bootcamp anytime pero as I highly suggest lalo na sa mga beginners at wala masyado knowledge sa networking at Cisco, self study muna para mas mabilis makasabay sa mga lessons. 3. Wala naman exam sa bootcamp, ang bootcamp ay training. Iba pa yun sa exam. Ang exam ay hindi narerefund not sure about the training. 4. I haven’t been to Rivan so I cannot provide feedback. Hope it helps. Thanks! salamat sir. nag reply ka 😉 im starting to read your blogs. naiintindihan ko sya. Super galing mo mag explain. ung ccna exam po ba may retake un? Ask ko lng po kung meron pa po kayong soft copy or guide what to study before taking CCNA exam. Hi Jay, thanks for visiting the blog. Yung mga soft copy at resources ko noon is outdated na kasi naka-ilang update na si Cisco at as you may have heard mag-uupdate na ulit sila into CCNA v3.0. Thanks. hello billy, im a blogger too and an aspirant CCNA passer. I also worked as a service desk before. We are on our way to examination in the next coming weeks but for now, we are still in rview status. I dont know where to start our review really kinda scary. Do you have any tips where to start on our review? Nice. Goodluck on your exam idol. Just practice and review the lessons you got. Practice practice practice. Hehe. Hi sir Billy, napaka inspiring ng story about sa CCNA career mo. I’m currently working as System & Network admin sa SMB company. Sa 9 years ko dito. dami ko na rin natutunan from ZERO to jack of all Trade(eto ung mga IT people na dapat alam mo lahat ) . Pero di pala sapat un ngayon ko naiisip na dapat magkaroon ako ng expertise, in past few months ano ba talaga ang dapat ko unahin LINUX cert, WINDOWS cert or CCNA. Ngayon ngatart na ulit ko magreview sa linux after nito mag iinvest na rin ako parang maging CCNA. HI RR, thanks for visiting the blog. It really depends on your goal and your passion. Yung tingin kong ok sakin is pwedeng ndi ok sayo or sa iba. Mas maganda ma-identify mo yung reason kung bakit mo gusto mag linux or windows or cisco. Isa isa lang. Mas mag-eexcel ka kung naka-FOCUS ka sa isang bagay one at a time. Mas magiging expert ka kung mas maraming oras ang ibibigay mo sa isang topic. Kung nasa linux ka na ngayon, focus ka muna jan. After mo makabisado or makapasa sa Linux tska ka mag move on sa iba. Hope it helps. Thanks! Ndi naman idol. Anyone can take ccna exam. THanks! Im planning to take the exam na before August 20, 2016 last day ng current CCNA Currriculum. May i ask po kung san maganda mag take ng exam? Late reply Clarence. Wala naman specific para sakin pero mas mganda dun sa malapit na sayo para ndi ka na mastress at mapagod pagbyahe. Good luck! Thanks! Bill, inspired ako sa Career Journey mo. Alam mo COE Grad ako pero medyo nalihis ako sa trabaho ko ng matagal na napunta ako sa Construction, at mga Design ang ginagawa ko. Gusto ko sana humingi ng tulong mo gusto ko rin maging CCNA Certified hanggang sa maabot ko din maging CCNP o CCIE. Tulungan mo namn ako. Thanks. Hi Jessie, it’s never too late to start another career lalo na’t passion at hilig m tlga. Self-study ka then mas maganda kung makakapag-training ka para mas matutunan mo ng maayos. Read this blog by heart I’m sure you’ll have the basic knowledge and fundamentals. Good luck. Salamats! 5 digits. Ok na ba yun idol? Hehe. That’s too personal, if you want you can check this article. Thanks! Nakaka-inspire naman ang CCNA Journey nyo. Parehas po tayo na nag “AHA” the time na narinig ang CISCO/CCNA. After Graduating BS Computer Science ay nagwork ako sa telecom company and dito ko nalaman ang CCNA (cause wala sa curriculum namin sa BSCS ang CCNA). This year ay nag decide ako na mag aral ng CCNA 1-4 (I decided the long path kasi hindi ganun karami ang kaalaman ko with Cisco). 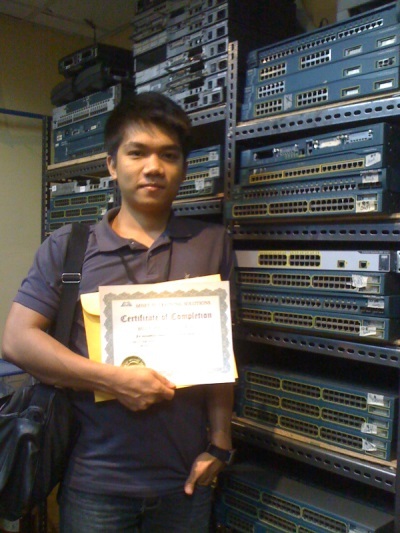 Sana matapos ko ang CCNA1-4 and maging CCNA certified. Good Luck sakin. Salamat sa Blog mo, mas lalo ko pang naintindihan ang mga topics sa CCNA. Nice idol. Goodluck on your journey. Let me know if I can help with anything. Thanks! Thank you for sharing your story, it really inspire me to pursue my passion. Sobrang nakaka motivate yung mga blog mo. Ikaw yung unang una kong pasasalamatan once maging CCNA certified narin ako. Wow! Good to hear that idol Glenn. Just keep learning and practicing. In time matutupad mo rin pangarap mo. Libre mo ko ha. Haha. Just let me know if I can help with anything. Good to hear Alger. Goodluck on your journey. Let me know if I can help with anything. Thanks! Nakakainspire kayo. Ang galing nyo po.. Aspiring CCNA din po ako.. Ask ko lang po. yung mga nadodownload po na free ccna books sa internet mga outdated na po ba yun? anong books po ba ang pwede nyo marecommend samin? and free video tutorials? Ayaw ko lang po mawaste time ko kase sa mga outdated na. Hi RJ, you should look for ccna v2.0 materials pero hanggang August 20 na lang din siya pwede i-exam. Kung mag-sstart ka pa lang, I suggest wait for v3.0 materials pag may mga lumabas na. You can also check the Cisco website para sa mga topics na madadagdag sa v3.0. For now, I suggest basa basa ka muna dito sa blog. Intindihin at isa-puso. For sure mas malaki ang maitutulong nito at mas magiging madali pag-nagtraining or nag-practice ka na. Goodluck! Thanks! Ang pagkaka-iba nila is mga coverage ng topics. Isinasabay ni Cisco ang topics nila ng CCNA sa mga kelangan sa real world at sa networking industry. So yes, mas new versions mas advance at mas maraming topics pero those are what you need para if you will work this days as network admin or network engineer. Ang V2.0 is pwede pang itake until August 20. After that, v3.0 na. Hope it helps. Thank you. Paano din ba nakuha ng certificate sa Cisco ng pagiging Network Engineer? Thank you ! Thank you ! God bless! U r so inspiring ? Yes naman Ary. Same process pa rin, either mag take ka ng ICND1 at ICND2 or the CCNAx v2.0(until Aug.20) or the coming CCNAx v3.0. Network Engineer is a position so depende sa company at job role mo. Salamats! Ask ko lang po sa mga company po ba may training how to become a network engineer o kelangan knowledgeable kana talaga kase Business Administration po course na natapos ko and gusto ko maging network engineer pero i don’t have knowledge and certificates. Better to take CCNA ba agad or the course before magapply to have experience? wow, isa rin ako sa mga student ni Mam Len. At ito ako ngaun, sinusubukan ko pa rin aralin yung tinuro niya sakin way back 2013 at susubukin ko rin aralin itong blog nyu sir. Maraming salamat sa pag share. Thank you for the inspiring story, May I ask sir kung san pwde magapply for network post. I recently passed CCNA last week and I was working for almost 7 years in IT support but for 1st lvl only (for me its only 1st lvl and local companies lang). But its my personal goal to get a network job. Baka may marerecommend kayo mga sir. Maraming salamat. Actually i came across your site na po sevral times and this inspired me over and over each visit. From investing to ccna and am sure marami pang inspiring posts to come. Congrats on your ccnp certification po. As of this time i am still preparing for my bootcamp on november this year now. As early as now i am already reading alot of materials articles and videos i could find to help gain enough knowledge before the bootcamp. Hopefully i will pass ccna.. Thanks for sharing your story po..
Great! Goodluck idol, aral lang ng aral. Hi sir Billy! thank you sa inspiring blog mo..
alam kona kung saan ako tutungo, bago pa yun ay nalilito tlga ako kung anu ba ang gusto kong maging, btw I.T student ako. hindi ko kasi alam kung ang pipiliin ko, Programming ba or Networking?. hilig ko kasi tlga ay networking, pero dahil lahat ng mga classmte ko eh gusto ang programming eh parang nakisabay narin ako dahil nawawalan nako ng pagaasa pag dating sa networking at dahil nga nahawa narin ako sa kanila nag aaral ako ng programming kahit hnd ko sya masyadong gusto hanggang sa tinatanong kona ang sarili ko na tama ba na nag I.T ako?.. napakaraming tanong sa sarili ko at yung feeling ko is down na down ako dahil pakiramdam ko naliligaw nako ng landas. ngayung next sem ay OJT na namin kaya naghahanap ako sa internet kung saan ako pwedeng mag ojt about programming. hindi ko alam kung pano ako nakarating sa website nato pero thanks god dahil nakita ko po yung blog mo na to sir billy . alam kona kung saan ako lilinya, walang duda networking tlga mahal ko .. naging inspirasyon para sakin yung mga pinagdaanan mo .. ngayon maghahanap nako ng pag oOJT han na may kinalaman sa networking then uumpisahan ko naring basahin yung free CCNA lessons dito sa website mo sir billy.. thank you much sir billy ! malaking tulong itong blog mo nato, share ko narin sa iba para mainspired din sila kagaya ko..
God bless you po sir billy and your family. Thanks for the kind words Jay En. Tama ka, in the long term mas ma-appreciate mo yung success kapag ang sinunod mo is ung gusto mo talaga. Pwede ka rin naman gumaling at mag-success sa programming pero kung deep inside is networking ang hilig at passion mo, dadating at dadating ang time sarili mo mismo yung magtutulak sayo para abutin ito. Good job kasi you realize what you want and you have the courage to pursue it. Goodluck on your journey. Balitaan mo ko pag CCNA kana. God bless! Hi! Nakakainspire po yung blog mo. Sa ngayun hindi pa rin ako makapag decide kung saang skill ako magfocus after graduation. Naiisip ko kasi mag focus sa web design pero may part pa rin sakin na hindi sigurado kung yun ba ang gusto ko. Ako po kasi yung type na hindi sure kung gusto ko ba ang networking or cisco, may subject kami sa school and ok naman yung grade ko. One time nagpa one on one lecture ako sa cisco lord ko na pinsan and mas marami pa kong natutunan sa kanya kesa sa prof ko tapos dun ko na realize na super interesting sya and promising maging career. nakwento nya yung work and experiences nya like travelling. syempre yung hardships din pero sa kin naman eh walang work na madali. Idol, tingin mo ba na ipush ko ang cisco career? gawin ko na guide itong blog mo. Salamat idol! Thanks Marie. Best thing is ianalyze mo sarili mo kasi in the long run, ikaw lang din naman talaga makakasagot niyan. If you think you’ll like networking, go for it! Do you enjoy topics about this? Do you see yourself working on this in 5 or 10 or 15 years? If all your answer is yes, maybe ito nga ang gusto mo. Give it a try. Goodluck on your journey. Let me know if I can help. THanks! Hi sir Thank you po for sharing about your journey.Tanong ko lang po sir kung matatanggap po ba ako sa trabaho kung sakali na certificate muna ang ipapakita ko galing sa pinagtrainingan kong center sa employer ko? kase hindi pa kasya ang budget ko para sa test .Ang maa-afford ko lang muna ay ang training po. career shifter din po ako at zero knowledge po ko sa networking pero willing po ko matuto.Thanks po sir. Depende idol, kung maipapakita mo na may skills at knowledge ka na pwede ka naman ma-hire. Pro sabi ko nga advantage p rin kng meron ka certification. THanks! hi sir! tanong ko lang po .Kailangan po bang umattend ng bootcamp bago mag-take ng exam? Kase po sir plano ko pong mag-take ng course sa mnet pero online lang po ang inoffer nila.pwede po ba yun? and then take na po ng exam.salamat po sir. Pwede idol. Ndi naman required ang bootcamp, nasa sayo kung pano ka mag-ttraining. Pwedeng online, live or self-study. Thanks! Start ko pa lang ang network career ko. From local telecom companies for a total of 1 year. Gusto ko sana muna mag work before mag pursue ng ccna. Hirap po kasi makakuha ng work about network kung walang ccna or exp. Tingin niyo po sa tech support about networkinh ay makakatulong to jump start my career? Anyway BSECE graduate po. Thanks. Salamat po Sir Billy sa inpiring story nyo..tapos na po ko ng two years comp tech and nkapag work nadin po ko as computer technician before kaya lang po my calling po tlga si CISCO at na love at first sight po ako kay CISCO… kaya din po ako ng tuloy ng study ko coz i want to pursue my CCNA para po maging network administrator din po ako katulad nyo someday…continue nyo lang po sir ung mga story nyo about your experience and technical hands on po..maraming salamat po ulet for inspiring us..Godblessed and more power. Thanks for the kind words Maynard. God bless! Hi Billy, your CCNA journey is really inspiring and will continue to inspire other peeps like me… I already have my CCNA lessons during college way back 2005 to 2007 pero hindi ko sya ganun seneryoso at nakalimutan ko na sya. Pero interested parin ako sa CISCO networking kaya mag babasa ulit ako ng review materials at hopefully makapag bootcamp narin after… Thanks to your blog. Hi Sir, ECE grad po ako at board passer. magtatake p lng ako nang CCNA. although naturo sya samin nung college days sa elective masasabi ko na less than 10% lang ang nattunan ko. i enrolled already at ironlink for ccna bootcamp for 5 days. di ko alam kung tama ung naging decision ko kasi nabasa ko online na better take trainings kung 0 knowledge pa sa networking. can u give me some tips kung ano dpat gawin and ty for the blog! Just do self study before the training idol para hindi ka ma information overload. Then study ulit before taking the exam. Goodluck! anu po ang System requirements nila? Hi Darwin, on this blog and in our lab samples – yes we used packet tracer and gns3. Thanks! Nakakainspire story mo idol hehe. IT fresh grad din ako and ccna passer last july 2016 and right now naghahanap ako ng pwede kong applyan na fit sa course ko and para maenhance pa lalo skills ko sa networking. Thank you sa pag share ng story mo and sa site mo sobrang dami kong natutunan simula nung nakita ko ito. Someday magiging Network Admin din ako AJA ! HAHAHA. Godbless idol ! Welcome idol. Thanks for the compliment! Hi sir Billy! I’m a fresh graduate of IT from Cavite State University last May 24, 2017. Sobrang nakakatulong po itong blog nyo sakin at marami akong nalalaman tungkol sa CCNA. Ask ko lang po, ano po kaya pwede kong maging job or position as fresh grad even na may alam na ko sa basic networking. It is because of ur blog sir kaya alam ko na :). I am planning to take a bootcamp sir pagnakapag-ipon na ko. Anong pong payo nyo sir sakin? THanks Kierre. You can look for GSD, NOC, Network specialist, network technician, tech support(network account). First of all, congrats on your journey. Thank you for sharing your stories that inspire others as well. I learned about your Blog when I was looking for Examination Center in the Philippines. Where can I get the examination? 🙂 It is really a plus point if you are a CISCO certified. Though, I’ve been in the IT industry for too long now but my career growth is slow because I did not invest in any Certification Program. I have the experience but if you don’t have the added points in your resume like Cisco Certification or other certification, then you will be hire as junior IT even though your level is already a Senior IT. For those newly graduates, don’t rush. Gain more experiences in IT, as in, learn more because what you have learn now it changes right away the moment you wake up tomorrow. Gain more hands-on experience. Don’t be afraid to fail at kung may masira kang device, okay lang (ano pa’t andyan ang mga expert para ayusin nila hahaha) di bale next time ikaw naman ang tutulong sa mga newbies…. Anyhow, thank you Billy… I will be following this blog and will have my certification as well. Thank you for the kind words, William. Goodluck on your journey. Keep me posted! Wow inspiring yung kwento mo sir! Congrats! Anyways sir, I will be graduating soon with a BSIT degree I would just like to ask anong magandang entry level na position for a career path of Network Engineer? I am planning to have my CCNA certificate soon. I also studied CISCO at my school though I need to refresh my memory about it. Thanks sir! Would appreciate if you reply ASAP. Thanks JOhn. Read here. God bless! Hi. Gusto ko sana magstart iexplore ang IT industry, pero zero talaga ang knowledge ko. Wala akong alam sa programming, o kahit ano sa computer. User lang talaga ako. Saan po ba dapat ako magsimula? I mean, may language po ba kong dapat muna aralin bago ako pumasok sa networking? Ang main goal ko po is to get CCNA certificate. I will highly appreciate your advice. So inspiring sir billy thank God i found your blog. Thank you po. I just passed my CCNA exam last March! Shifting careers from semiconductor manufacturing to the IT industry as CCNA, I’m planning to find work abroad in Singapore. Can you share some tips? I have no networking work experience yet. Hello Bro Billy, Nainspire ako sa journey mo bout this Cisco. 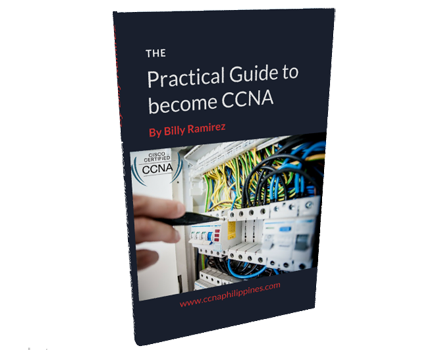 May i know how can i avail your ccna pdf book which is cost around 499.00 pesos? How can i contact you and how can i send you my payment?? Thanks. Graduate ako ng ECE 2007 pa lang pero di ako nakapag-take agad ng board exam kaya napunta ako sa BPO as CSR or Sales Rep. Ten (10) years after ako nagkalakas-loob na subukan na mag-take ng board exam (2017), self-study every after graveyard shift at sa awa ng Diyos, nakapasa naman! Ang problema lang talaga ngayon is hirap akong maka-career shift kahit maging Tech Support kasi mas tinitingnan nila yung experiences ko sa BPO as CSR at Sales Rep. Months after passing the board exam, determinado talaga akong mag CCNA pero hirap akong makapag-self study kasi kahit laptop ay wala ako, but not until this year. Now, nagse-self study na ako at buti na lang nahanap ko ang blog na to. Thanks, Billy! Bro Billy, Ano ba need para maging CCNA certified. I know na po reading the blog is helping you to become it. but, need ba marunong mag trouble shoot ng pc? installing ? need ba mga yon muna? need ba muna mag ka knowledge ka about i.t support / tech support before ka mag jump as ccna(net admin) . confused na confused talaga ako. pahelp naman boss….